Price: $ 3.60 for 4.75 gm. 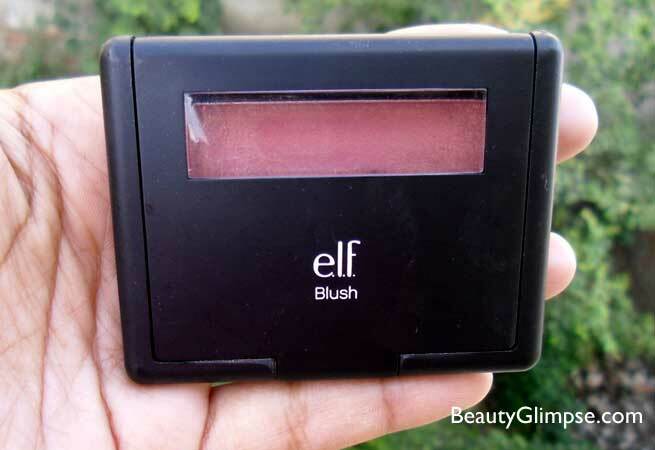 The ELF studio blush comes in a black packaging which looks really classy and stylish. The case is half-transparent from top so the shade of the blush is visible which is good for those who have many similar blushes. The blush also has a small mirror which can be used for touch-ups. But the applicator brush is missing though I don’t have an issue as applicators are useless most of the time. The case is light-weight and the case is travel friendly too. The shade I’m reviewing today is “blushing rose” which is a deep rose shade which has golden shimmers in it but they don’t look over-the-top. The shade didn’t attract me much when I swatches it first but as soon as I applied it on my cheeks… I was totally blown away. It gives a beautiful glow to face and the shade suits me completely. The shimmers give a healthy glow to my cheeks and don’t look chunky at all; this shade can be worn during day easily. The shade is very natural and it can be used for daily-wear. The texture is smooth and it blends easily on face. It is not chalky and powdery at all so you can wear it easily. The blush gives me satin finish and the shade is buildable. 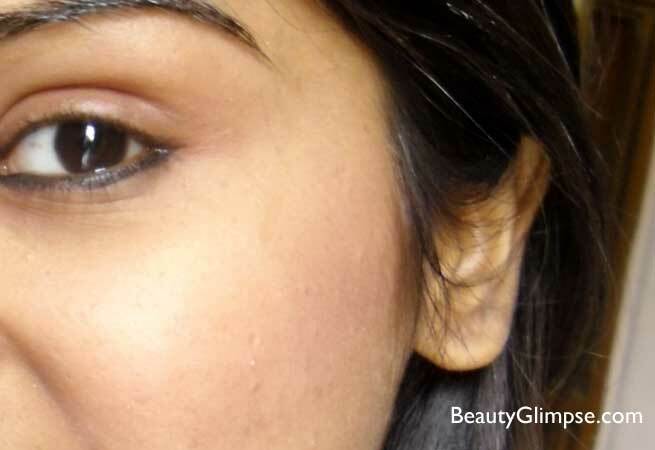 If you’re a newbie like me then you can never go wrong with it as it is not much pigmented. I got at least 4 hours wear-time with it and after that the shade fades but the glow is still there. 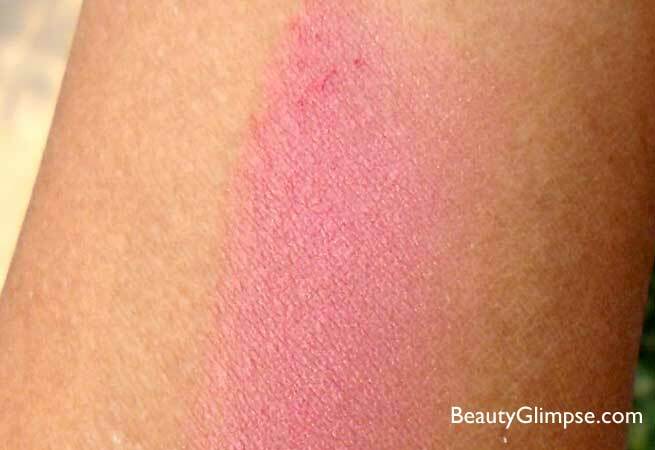 If you want to enhance the wear time you can apply primer before using the blush. I usually use it without Primer only as I’m okay with the staying power. The only con I think is the non-availability in India. ELF is not available in India and you can buy it online but the price is double the original price. 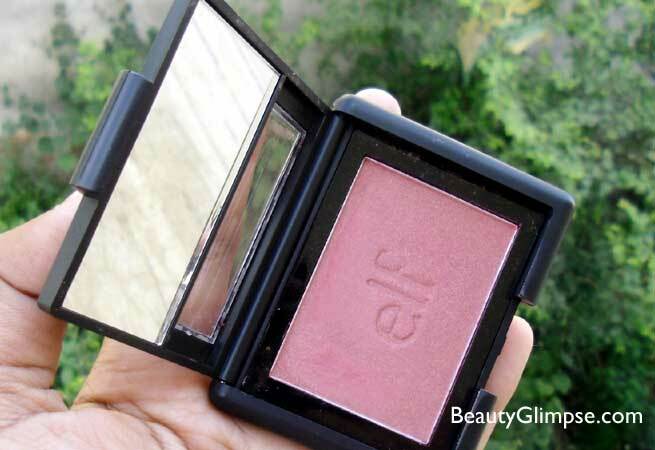 Overall, I’m very happy with the “ELF studio blush-blushing rose” is a must have for everyone and I definitely recommend it to everyone. Final Verdict: Blushing rose is a “deep rose shade” with subtle shimmers in it that add glow to face. The texture is smooth and it blends effortlessly. The shade stays for good 4 hours on me without a primer. If you’re aboard then you should definitely grab it as-soon-as-possible.